It was the trip of a lifetime for these two-time Leopard owners. Sailing the first ever performance version Leopard 50 in 40 knots of wind, visiting the production facilities of the Leopard 50, and revealing the first Leopard 50P in Cape Town were just a few of the highlights. The couple were previously owners of a Leopard 48 and they sailed her throughout the Caribbean and through the Panama Canal. The Smiths absolutely loved their Leopard 48 and had no intentions of ever trading her in for another yacht. That was until we announced the launch of our Leopard 50. The launch video which revealed a computer animation of the new yacht exiting the factory. For many Leopard Owners and new buyers, it was love at first sight. The dramatic appeal of the music in the video was helpful too.. The Leopard 50P is a one of a kind sailing yacht that provides sailors with the perfect blend of comfort and sport. With the flybridge removed, she is fast, sleek and ready to take on anything.This yacht was build to cross oceans and you will soon learn why. 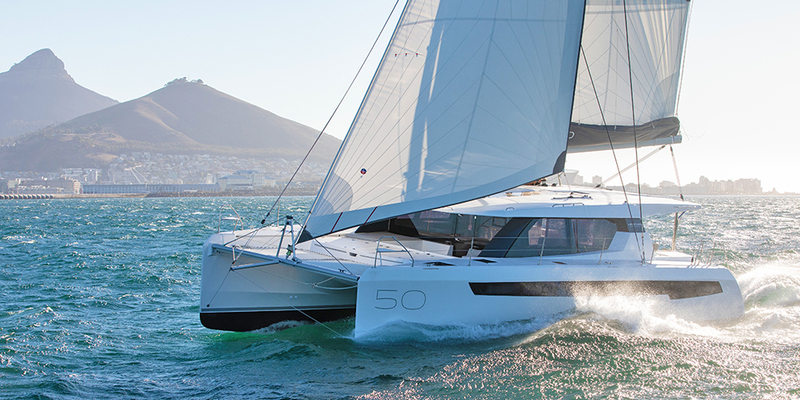 The adventure started with the purchase of their second Leopard Catamaran and wanting to come see the delivery and discover the boat in Cape Town where she was built. Randy and Lennie Smith embarked on a two week trip to South Africa and the first stop was a game reserve in northern South Africa. And whether it was fate or just plain luck, they were able to see a Leopard, which is the most difficult animal to spot. After spending four days at the game park, they were certain that would be the best part of their trip-- but the best was yet to come when they arrived in Cape Town. When they flew into to Cape Town they didn't know what to expect from their experience. Upon their arrival at 4pm to Cape Town, they contacted the local Leopard Agent and they were informed that the first item on the agenda was going to be the big reveal of their yacht-- the wait was over but the anticipation was building! At 5pm they were brought down to the water to see their boat for the first time. Happy Together, as the boat is named, is the first Leopard 50 to come out of production as the performance version. The Leopard 50P doesn't have a flybridge and she has a lower boom which adds more sail area. As Randy explains, "She is designed for people like us that plan to cross oceans as well as do some far and wide cruising. We just didn't need the platform on the second floor, but for some people I am sure it's nice to have. Ours is the first one that Leopard Catamarans produced. We placed this order one and a half years ago, and then walking down the dock and seeing your new boat for the first time is a once in a lifetime experience. The reveal was really special." Another big event was getting to visit the Robertson and Caine factory. Although the couple has owned many boats, this is the first time they have had the opportunity to visit a boat manufacturing facility. When they arrived at the factory they were greeted by the managing director of Robertson and Caine who gave a personal tour of the Leopard 50 factory. "For us, we have had two experiences with buying a Leopard and it has been great. So seeing the factory was amazing. The systems that are in place and the quality control that is in place was really impressive," Lennie explained. Having the opportunity to see where the 50s are built was a unique and once-in-a-lifetime opportunity for these owners. When they were wrapped up at the Leopard 50 factory they had the opportunity to discover the Leopard 45 line, which is in a different location and also where the moulding shop is located. At this location they were able to see the hull taken from the mould to the whole layout process, including vacuum and resin infusion, how the boat moves down the line every four days, and then into the pool for testing of the engines, generators and air conditioners. They also discovered the components that go into the boats at different times. Finally, they got into the last bay and saw where the boats are splashed in the water tank at the factory, then were shown the last section where the boats are taken to be cleaned and polished up before putting them on a truck to be launched. Randy concludes, "Although they are called production boats, it's hard to say production because it's not as though they are building thousands of boats each year, it is not a car manufacture. It takes a tremendous amount of handwork to build a structure like a catamaran. And they build a few hundred boats a year-- it's not an iPhone and it's not a BMW. In my opinion it is semi- custom. And if you look at the options list, you can outfit it to your liking a thousand different ways." But what do you think was the best part of the factory tour? Randy reveals, "Meeting the people who work on the boats. Everyone was working hard and fast, with smiles on their faces. I know they have seen plenty of people on tours before, but they took pictures with us, they showed us what they were doing and then we specifically got to meet the team leaders and group leaders on all of the different stations and they showed us their QC (quality control) processes. In fact, the QC process was one of the big things that everybody focused on, along with the assembly." Overall, the Smiths were really happy with the opportunity to see where Leopard Catamarans are built. The couple states, "It was a wonderful experience that changed our whole outlook on Robertson and Caine. I will never look at my boat the same again because now I don't see a Leopard 50, I see all of the people working on it, what went into it and how it was manufactured. We left that night and I thought that I would never look at our boat the same again." But the fun wasn't over yet! They had the opportunity to take the Leopard 50P out for a test sail the following day. This was the moment the couple had been waiting for, the moment to put their yacht to the test-- and what better way to do that than off the coast of Cape Town, South Africa, where the winds whip unlike anything sailors of the Caribbean Sea will witness. They were able to sail her in the bay, right off of Cape Town, with winds in excess of 30 knots. They were able to tack the boat upwind, jibe downwind, and it was quite an experience. "It was great to see what the boat can do, and what the boat can do in these conditions, which is something completely different than what we've ever seen," Lennie explains. They were able to raise and use all of the sails, and see how she preformed. The vessel did not disappoint. The couple was also able to go on another test sail with Naval Architect and Designer of the Leopard Catamaran line, Alex Simonis. They were able to put 60 miles on the boat in one day. There was one moment where they tacked it down at Cape Point and at one time had 42 knots of wind coming over the deck. 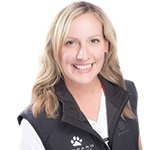 "Watching a naval architect and long-time professional sailor and sailing expert push the boat through the paces, it was no longer Lennie and I sailing the boat, it was Lennie and I watching Alex sail the boat, and we learned a lot. One thing I can tell you is don't be afraid to sail this boat in 40 knots of wind. The boat can handle it-- they are designed for it. But you should reduce sail. We got the boat moving at 15 knots in some cases. She really flew and it was a wonderful test sail," Randy reveals. I had the distinct pleasure of greeting this Leopard 50P upon her arrival to Fort Lauderdale, FL. The boat looked absolutely stunning. We offloaded her from the freighter and safely pulled her into her space at Harbour Towne Marina. Here, she will be commissioned and prepared to join the World ARC in January of 2019. To see Randy and Lennie's visit to Cape Town, as told by them, check out the video here on their YouTube Channel.